Creative Play Solutions, an award winning Irish owned company, is one of Ireland’s most experienced and innovative outdoor playground equipment designers and providers. With 17 years know-how in the outdoor playground industry in Ireland, Creative Play Solutions offer a complete playground service that includes: consultation, site analysis, design, installation, surfacing and maintenance throughout Ireland. Creative Play Solutions commitment to challenging and innovative outdoor areas for children and adults of all ages and abilities is combined with a commitment to sustainability. Products are sourced from Europe’s foremost authorities on playground, sport and fitness equipment and ensuring high play value, quality materials and the utmost in safety stands are always achieved. Association of Landscape Contractors of Ireland (ALCI) Awards 2014 for the Ballina Town Park Playground, Co. Mayo. 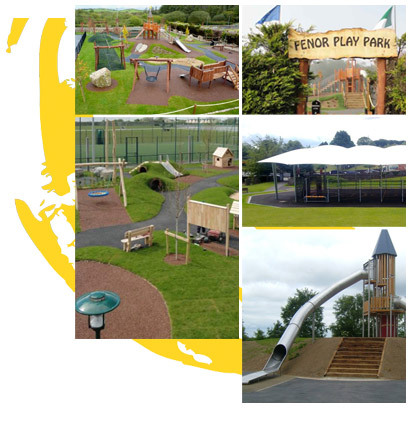 RoSPA 5 Star, Site Quality Award 2013 for Fenor Play Park in Co. Waterford. Association of Landscape Contractors of Ireland (ALCI) Awards 2013 for the Clerihan Community Play Park in Clonmel Co. Tipperary.